(X-Box Wire)– If you haven’t made the move to Xbox One yet, there’s never been a better time to switch over than this Black Friday. Prices on the console will be lower than ever before, dozens of games will be discounted with up to 60 percent savings and Xbox One owners will be able to enjoy Backward Compatibility for more than 100 Xbox 360 titles, including the Gears of War series, Mass Effect and Borderlands. 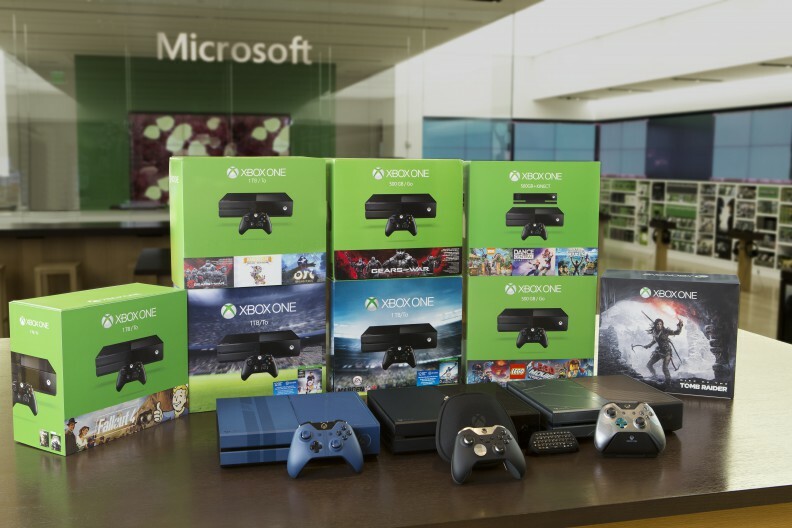 The above deals apply to both online and in-store purchases in the U.S. – even on Cyber Monday – so you can save throughout the entire holiday weekend at a variety of retail locations that carry Xbox One. Take advantage of more than 150 game deals, some up to 40 to 60 percent off, and experience the greatest games lineup in Xbox history. Starting today through Nov. 23, Xbox Live Gold members will get early access to deals of up to 40 to 60 percent off and Gold members save up to 10 percent more for being Gold. Deals open to everyone on Tuesday, Nov. 24, and end Monday, Nov. 30. Some of our best new games and fan favorites will be included, such as Forza Motorsport 6, Gears of War: Ultimate Edition, FIFA 16 and Grand Theft Auto V, along with more than 150 other game deals across Xbox One and Xbox 360, with even more deals coming over the weekend. For more details, visit Xbox.com through Nov. 30. Go Gold for $1 and reap the benefits. If you’ve been waiting to sign up for Xbox Live Gold, now is a great time. Gold members get early access to game deals and save more on many Xbox Store game sales. From today through Nov. 30, Xbox One or Xbox 360 owners can upgrade to Gold through their console for $1 for the first month of membership and unlock the early access to the deals. Xbox Live Gold membership lets you play games on the most advanced multiplayer network, and gives members free Games with Gold titles every month. Next Star Wars Battlefront Review: The Game You Are Looking For?